The Bevan21 is a streamlined aerodynamic rigid body able to reduce fuel bills by more than 15% (independent test carried out by Commercial Motor). Bevan Group offers the ultimate in box body construction, exploring every option to ensure the body is built for maximum operating efficiency. Our curtainsiders are designed using the latest CAD technology and manufactured to give you load space versatility and accessibility. Our Luton is manufactured from ultra lightweight panels with moulded fibreglass front and captive extrusions, smoothing the airflow and minimising wind resistance. The innovatively designed ICON represents a major technological breakthrough in terms of increasing both productivity and fuel efficiency. 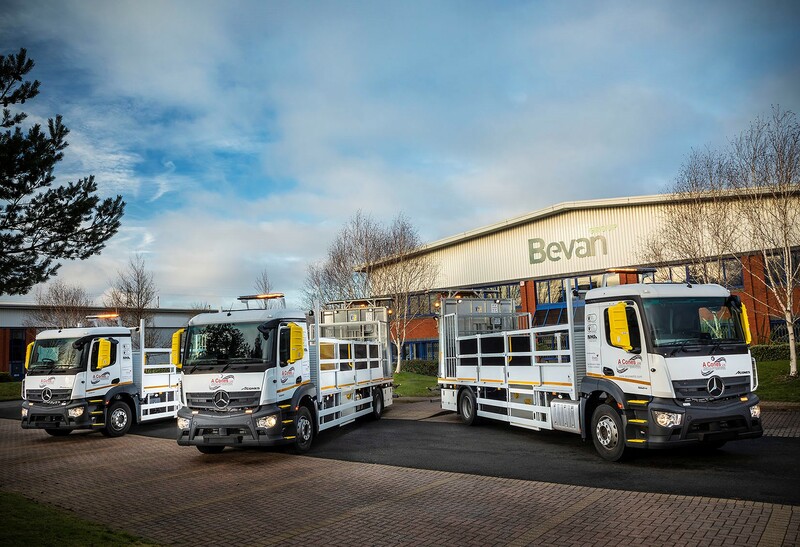 Bevan offers a range of dropside bodies for the builders' merchant industry, all fitted with our patented Safe-T-Drop system to meet health and safety requirements. Please tick this box to confirm that you wish to join the Bevan Group newsletter database and receive regular news and special offers from Bevan Group. Please note you will be able to unsubscribe at any time.